living in this apartment, i feel like i'm a mother. cleaning up after my dirty, messy, and inconsiderate daughter... who happens to be twenty-seven years old, only seven years older than me. sounds all mixed up, doesn't it? well my daughter, has a group of friends over every sunday and makes everything from scratch, uses up every pot and pan in the house, and never cleans up. never. all of us other girls are sick of cleaning up after her that we figured we would live with the mess until she learns that it is her turn. it came to the point that we were using tablespoons to eat with and tupperware as bowls. and as it pleasantly turns out, she left this morning for a nice week vacation in oregon... leaving the piles of dishes for us to clean up... hence, making me feel like a mother. on another note, i made a new friend in my photography class and he has some nice spendy lenses that he lets me borrow. i just got his 50mm yesterday, the lens that i have been wanting for over 2 years now, so i was in heaven. right after i got it from him, i walked in my apartment and took photos of anything and everything. 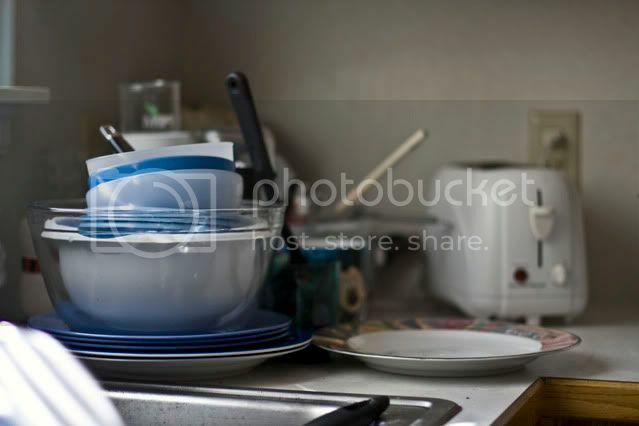 two of them being the dishes, that i thought would just be perfect for a blog post. 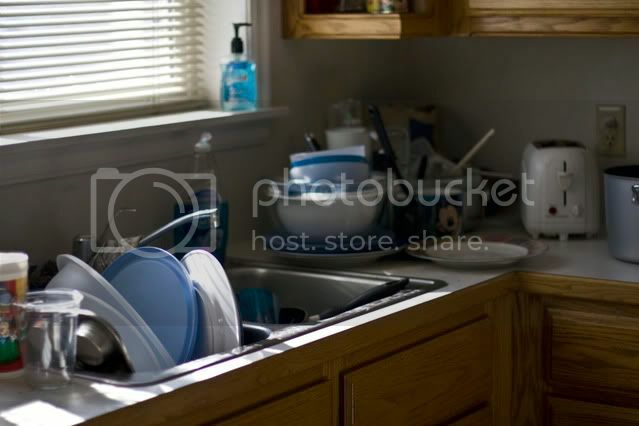 please know that the dishes shown are after two loads already being done. well, it is an absolutely beautiful day today in Rexburg, being a high 61 degrees, perfect for walking around town and taking photos. LOL I should have thought you would have done a blog post about your daughter!! That is crazy and I would def. be irritated.